This article was written by Shannon Blackburn (formerly Shannon Moore) for NYCAviation.com, and is reprinted here with permission. With a little help, a space shuttle took to the skies briefly on August 14 in Houston, Texas. Space Shuttle Independence was hoisted by the smallest of Mammoet Holding’s cranes, a 440-ton behemoth stabilized by 980,000 pounds of counterweights (more than the International Space Station would weigh on Earth). As hundreds of onlookers watched, the 171,860 pound (86 ton) replica orbiter gently rose off its mobile transporter and moved into place on the back of the NASA905 Shuttle Carrier Aircraft. Expected to open in March 2015, the eight-story-tall Shuttle Carrier Aircraft and Independence Complex at Space Center Houston will provide visitors with an unprecedented opportunity to tour inside both a full-size replica shuttle orbiter, and a historic Shuttle Carrier Aircraft. 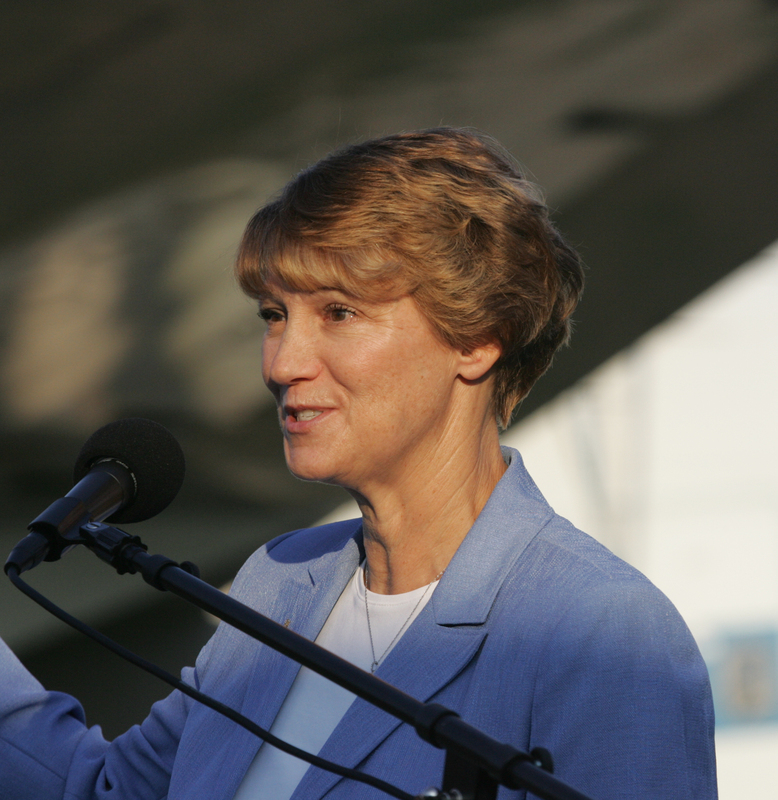 “It will be a one-of-a-kind visitor experience to educate, engage, and inspire the next generation of explorers,” said former shuttle commander and retired USAF Col. Eileen Collins. Two Shuttle Carrier Aircraft (SCAs) — heavily modified Boeing 747 airliners – were used during the space shuttle program to transport the shuttle orbiter between NASA centers. Space Center Houston now owns NASA905 (registered N905NA), a Boeing 747-100 acquired in 1974 and originally manufactured for American Airlines. The other Shuttle Carrier Aircraft, NASA911 (N911NA), is a short range model Boeing 747-100SR. 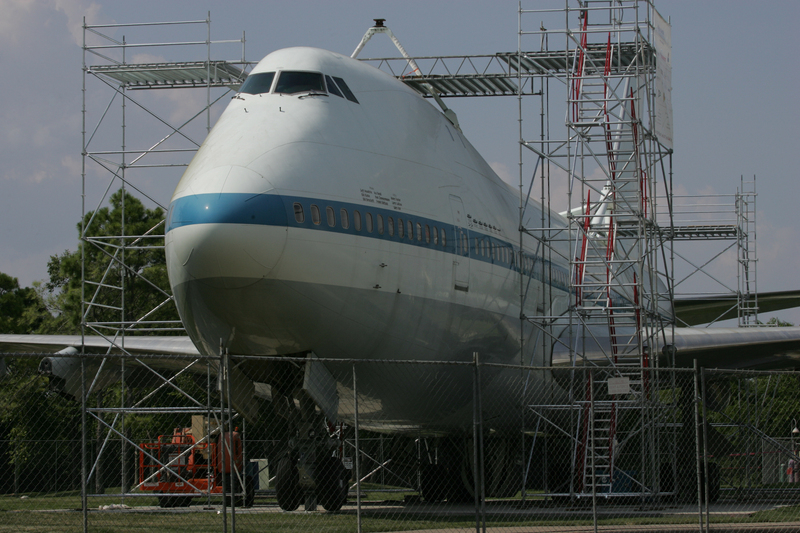 NASA911 is also retired and resides at Dryden Aircraft Operations Facility where it serves as a source of parts for Stratospheric Observatory for Infrared Astronomy (SOFIA). NASA905’s engines also went to the SOFIA program, and Space Center Houston is working on sourcing some display engines for its exhibit. Three exterior mounting struts were added (two aft, one forward) on which the shuttle orbiter is attached, and corresponding interior strengthening of the fuselage was added. The standard horizontal stabilizer was paired with two large vertical stabilizers, one on each end, to improve directional stability. Instrumentation was added for the flight crew and engineers to monitor orbiter electrical loads during ferry flights. NASA905 was used for the approach and landing test flights of Space Shuttle Enterprise in 1977. The first SCA to fly, NASA905 logged a total of 11,017 flight hours and ferried shuttles 222 times over 42 years. The aircraft “is the largest artifact from the shuttle program, and played a key part in its development,” according to Dr. Ellen Ochoa, the Director of NASA’s Johnson Space Center. Space Center Houston acquired the aircraft in April after it was painstakingly disassembled by Boeing’s Aircraft On Ground (AOG) team. According to John Elbon, Vice President and General Manager of Space Exploration for Boeing, the team responsible for moving NASA905 from Ellington Field (EFD) to Space Center Houston “had a blast doing it.” They are normally called in to rescue aircraft that have slid off runways or run into similar misfortune, so working on a historic aircraft was special. 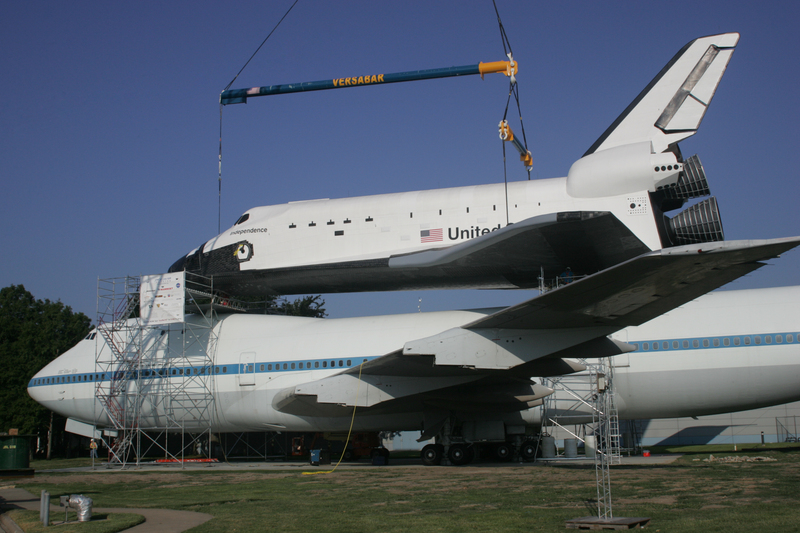 The team removed the aircraft’s wings, stabilizer and tail cone so it could be moved the eight miles via city streets from Ellington to Space Center Houston and put back together. It is notable that, although the main landing gear beam was cut for transport, the reassembled 747 structure is still flight certified. Space Center Houston has also done extensive work on the orbiter replica Independence after acquiring it June 1, 2012, from Kennedy Space Center Visitors Complex. When completed, visitors will have access to previously restricted areas of the replica, including the mid-deck and flight deck, which is now outfitted with a glass cockpit similar to what the actual orbiters were using by the end of the shuttle program. Exhibits aboard Independence will highlight artifacts from the Space Shuttle Program (SSP) and examples of innovation from the program, as well as focus on science, technology, engineering and math (STEM) initiatives. For more aviation news, visit NYCAviation.com.